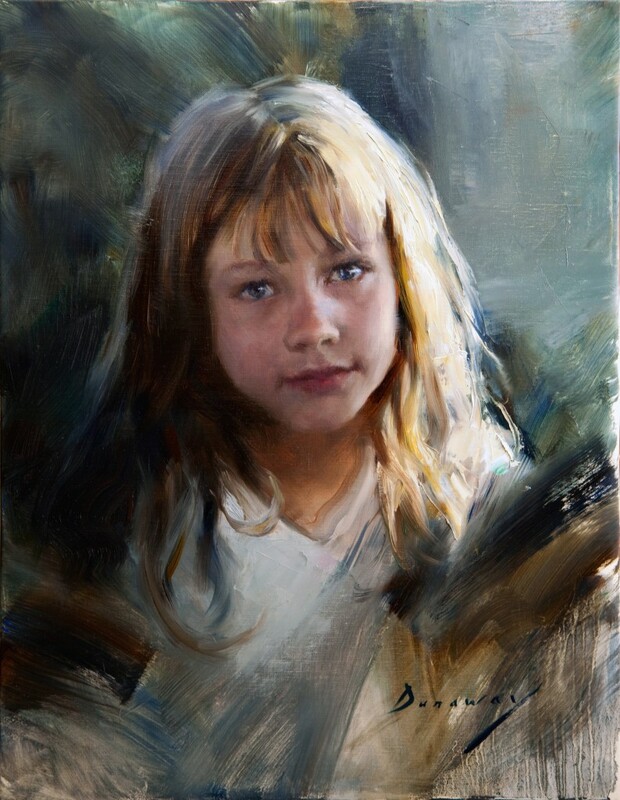 Michelle Dunaway is an Internationally known American artist who’s paintings are revered for their bold brushwork yet sensitive portrayal of emotions that capture the human experience. Her artwork has been featured in numerous publications including International Artist, Fine Art Connoisseur, American Artist, Southwest Art, Art of the West, and American Art Collector along with inclusion in several art books. Michelle’s work has received many awards and honors including: The Award of Exceptional Merit at the Portrait Society of America’s International Portrait Competition in 2010 for her painting ‘Katie and Jenni-The Daughters of Jane Seymour’, a Certificate of Excellence from the Portrait Society of America in 2014, finalist in the 2012/13 Art Renewal Salon Competition as well as being invited to be the featured artist at the 2014 California Art Club Gold Medal Exhibition. Michelle receives invitations to teach, lecture, and give painting demonstrations at various schools and events internationally. She exhibits in galleries nationwide and her paintings are in private collections throughout the US and Europe.